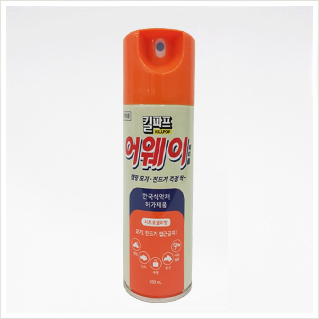 How to use "12 years old ~ adult : Spray it about 10~20cm far from a distance. Spray it on exposed parts such as arms, legs etc. and shoes, clothes. spray proper amount on palms first when you coat it on your neck and face (except eyes and lip)." 2 years old ~ under 12years old : Apply it on adult's palm first. And then, coat a small amount on exposed parts(except face and hands) one to three times a day. 6 months ~ under 2years old : when it possible to become infected, apply it on adult's palm first. And then, apply a small amount on exposed parts(except face and hands) one time a day. under 6months : do not use. * Do not apply to child's skin directly. Apply it on adult's palm first when you apply to child.